Though I write SF/F, I tend to read classics and I love historic romance and costume dramas. 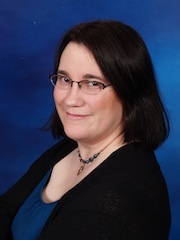 Though she writes historic romance, Susanna Fraser loves science fiction and fantasy. 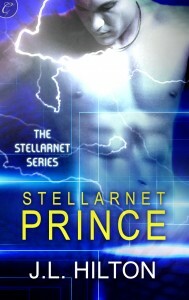 We both have new books released this month — Stellarnet Prince and An Infamous Marriage — so we’re blog swapping today. She’s here to talk about geekery, and I’m on her blog talking about history. Welcome, Susanna! On my writing desk I have two toys that serve as my mascots–a giant plush version of Appa the sky bison from Avatar: the Last Airbender and a miniature of the Duke of Wellington on horseback, part of a whole collection of Waterloo miniatures I might buy if I had the time, money, and space to build a giant battlefield diorama in my basement. My desk tells you my identity — I’m a geek, subspecies history geek. On the geek front, I own the entire run of Buffy on DVD and will occasionally burst into songs from the musical episode. (If I can’t get “Going Through the Motions” out of my head, I know it’s time to start looking for a new day job!) I also own Firefly and always squee when Nathan Fillion makes subtle little references to it on Castle. My favorite Doctor is Nine, and my favorite Star Trek was Deep Space 9. My desktop wallpaper is from The Legend of Korra. I turn into a total fangirl whenever Lois McMaster Bujold’s name comes up. (If you haven’t read her Vorkosigan Saga, you really must–wonderful characterization, and depending on the book, you get a varied and delightful mix of space opera, adventure, mystery, and romance.) I also love Naomi Novik and Jacqueline Carey, to name just two. Though I was late to the party on George RR Martin, only discovering him when Game of Thrones first aired on HBO, I’m now fully caught up on the series and can debate Jon Snow’s true parentage with the best of them. So why am I writing historical romance, rather than science fiction or fantasy? Well, it’s entirely possible I will try my hand at fantasy one of these days. But aside from that, I’ve always been fascinated by, and occasionally obsessed with, history. I’m driven to understand the past, all the choices and chances that brought the present into being. And from my early days as a girl reading the Little House books at my mother’s side, I’ve loved stories as a way of bringing the past to life. A good historical novel–whether romance, mystery, YA, literary, or any other genre–contains every bit as much worldbuilding to make 1066 or 1692 or 1815 real in the reader’s mind as a science fiction or fantasy novel uses for its imagined setting. What about you? What are your favorite genres, and do you stick to one or two, or are you an omnivorous reader? I’ll be giving one copy of my new release, An Infamous Marriage, to a commenter on this post in your choice of e-book format, and at the end of my blog tour I’ll be giving a one commenter on the tour as a whole grand prize of a $50 gift certificate to their choice of Amazon, Barnes & Noble, or Powell’s Books. You get one entry per blog tour stop you comment upon, so check out my blog for the whole schedule! The tour is starting to wind down, but there are still a few stops left! 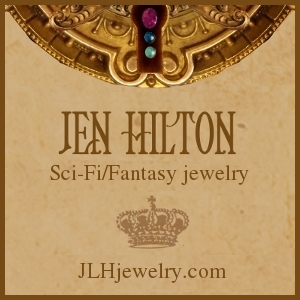 This entry was posted in Fantasy, On writing..., Romance, Science Fiction, Visiting authors and tagged Browncoats, Firefly, Historical Romance, sci-fi, Science Fiction, Susanna Fraser, visiting author. Bookmark the permalink. Hi, Susanna! My favorite reads are historicals and contemporaries. Of course, I also like books like Jane Austin, etc. Sometimes I even read fantasy, but not very often. If I do, I stick to good vampires and were animals. I love Charlaine Harris’s Sookie Stackhouse series with her vampires, werewolves, and demons. I used to read different genre but found my happiness reading historical romance novels, which I’ve been reading almost exclusively for the past two years. I read almost anything if it has a good story! I have read across almost every genre in my years. 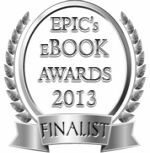 @Suz Glo – Have you read Lindsey Davis’s Marcus Didius Falco series? They’re historical mysteries set in Ancient Rome with a nice romantic thread running throughout the series. @Tin – I love historical romance, but lately I’ve been going through a phase of reading surprisingly little of it–I think I’m so absorbed in writing it that I can unwind better with other genres as a reader. 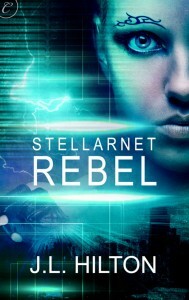 @Penni – I’ll read almost anything if the characters come alive for me and I like the author’s voice. I read from almost any genre.